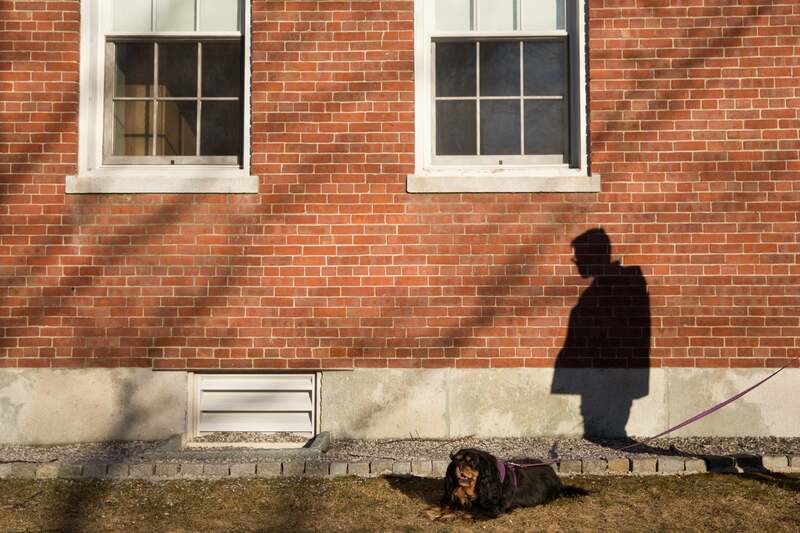 seeking support Following a lengthy process, students who requested support animals at Bowdoin had their requests denied or were unable to bring the animal their residence after approval. When Jordan Hsia ’19 was diagnosed with general anxiety disorder, depression and post-traumatic stress disorder earlier this year, she found a silver lining. These official diagnoses, she thought, would allow her to keep an emotional support animal in her dorm. But instead of receiving permission to bring her emotional support cat to Bowdoin, Hsia found the accommodations process to be confusing and opaque, with her emails going unanswered or being passed between administrators until her request was officially denied last week. Bowdoin is far from the only college to grapple with policies on emotional support animals in the last few years. However, other Maine colleges, including Bates, Colby and the University of Maine, have detailed, publicly available policies about emotional support animals and other assistance animals. Bowdoin does not. Director of Student Accessibility Lesley Levy said that the process for obtaining an emotional support animal, or any other assistance animal, is the same as Bowdoin’s standard accommodations procedure, and that decisions are made on a case-by-case basis. The animals are covered as a reasonable accommodation by the Fair Housing Act. Hsia has struggled with her mental and physical health since she started at Bowdoin, with symptoms including an elevated heart rate and a tendency to fall asleep during class. She sought help from both the Health Center and the Counseling Center and was prescribed Adderall for attention deficit hyperactivity disorder, but still found herself struggling. Since the summer after her sophomore year, she lived intermittently with her cat, a calico named Naomi, which she found helpful for her mental health. This past fall, though, the Office of Residential Life told her that the cat could not live in her dorm due to Bowdoin’s no-pets policy. In June 2018, Hsia reached out to a Portland-based psychologist that Counseling Services had recommended. She found it difficult to schedule an appointment, but ultimately met the psychologist in October and underwent psychoneurological testing, which included an IQ test and a Rorschach test. In February, she received her results, which included diagnoses of general anxiety disorder, depression and post-traumatic stress disorder. Based on these results, Hsia discussed the possibility of an emotional support animal with the on-campus counselor she had seen for several years, who agreed to write her a letter. Certain studies have found emotional support animals to be effective in treating several psychiatric disorders. Hsia also met with Levy to discuss the College’s emotional support animal policies. While the exact rules for any assistance animal are determined on a case-by-case basis, Bowdoin requires that animals remain caged when students are not present. Hsia felt that this rule was overly restrictive and would make it difficult to keep a cat. Hsia reached out to her dean about her concerns, in accordance with the campus grievance policy for discrimination on the basis of a physical or mental disability. Her dean directed her back to Levy. On March 7, Hsia completed the online form to apply for an emotional support animal, submitting documentation from both her counselor and the off-campus psychologist. On March 25, she received a formal denial of her request for accommodations, via an email from Levy. The denial noted that only Hsia’s Bowdoin counselor had recommended an emotional support animal, while the off-campus psychologist had not. “Although you may believe that having a cat in residence will help you, we have determined that authorizing the cat as a reasonable accommodation is not necessary in light of the evidence of your long history living in residence without such an aid and your excellent academic accomplishments,” the email said. Emotional support animals are not covered under the Americans with Disabilities Act (ADA), but they are included in the Fair Housing Act. With a few exceptions, the Act requires housing providers to allow tenants emotional support animals, and—per a 2013 guidance from the Department of Housing and Urban Development—it applies to housing at colleges and universities. Since September 2017, two students have been approved for emotional support animals at Bowdoin, Levy said. The Fair Housing Act allows for some restrictions on emotional support animals. Individuals must “have a disability-related need for an assistance animal,” and the housing provider can ask the person seeking accommodations to provide documentation from a mental health provider. Bowdoin’s accommodation guidelines say that documentation for any accommodation must come from a professional outside of the College. According to Levy, this is standard practice among colleges and universities in order to reduce conflicts of interest. Colby’s student handbook indicates a similar policy. Levy added that several campus offices refer students to off-campus health care providers. Hsia found this policy frustrating, noting that she cannot afford to regularly see an off-campus provider and had to wait four months to see the psychologist that the College recommended. She has worked with a counselor at Bowdoin for several years but only met with the off-campus psychologist twice before receiving her diagnoses. The Fair Housing Act also gives housing providers the right to deny a request if it “would impose an undue financial and administrative burden,” or if the specific animal threatens the health or safety of others or would cause substantial property damage. To address these issues, many colleges have rules for students who obtain an emotional support animal. For example, Bates, Colby and the University of Maine all require students to fully vaccinate their animals and keep them in their rooms except when entering or leaving the building. 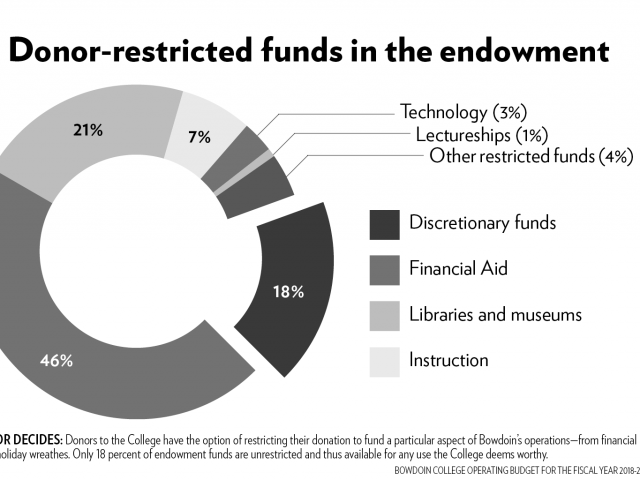 None of those three colleges require animals to be caged, as Bowdoin does. Another current senior, who asked to remain anonymous, sought out an emotional support animal in August of their junior year with a recommendation from their longtime therapist back home. The process was long, but the student ultimately received approval the following April. But when they tried to work through the logistics of bringing their cat to campus, they found the additional rules to be overly restrictive. First, they would have to keep their cat in a cage when they were not in the room, which they thought would be harmful for the animal’s health. They considered buying a fence in order to create a sufficiently large cage, but then learned that emotional support animals were not allowed in Coles Tower, where they were planning to live as a senior, due to the building’s relatively open floor plan—bathrooms connect each of floor’s quads. “I was approved, but no one was willing to actually successfully help me bring my cat on campus,” the student said. The student felt that changing living situations in order to keep the animal would further isolate them from their friends and be harmful for their mental health. After a process that they described as “a really not fun, stressful, prolonged for no reason challenge,” they decided that having an emotional support animal was not worth it. In the fall of 2017, following a student petition, Bowdoin launched the Accessibility Task Force—a group of students, faculty and staff who were entrusted to examine the College’s accommodations policies, think holistically about issues of accessibility on campus and ensure legal compliance with the ADA. The recommended changes so far included the introduction of the Test Center, where students who receive academic accommodations can take proctored tests. But several members of the Task Force said that the group has not discussed mental health issues or accommodations. None of its 18 staff members are affiliated with Counseling Services. Hsia, who will graduate in May, doesn’t expect that she’ll get her cat on campus this year. 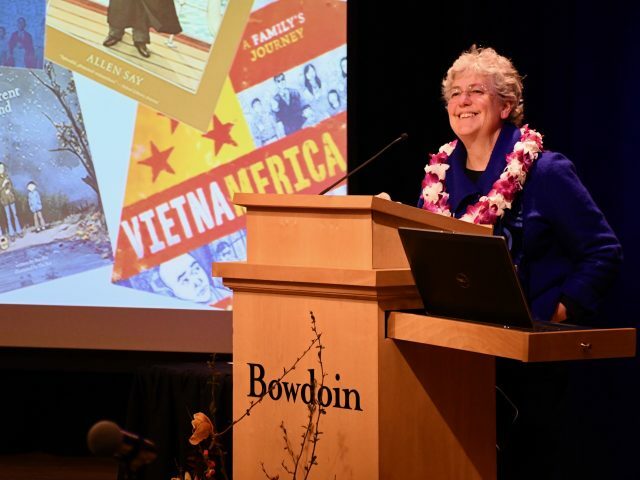 But she hopes that speaking up about her experience will lead to a broader discussion of mental health issues and accommodations at Bowdoin. “It’s clearly a national conversation at this point,” she said. Editor’s Note, 4/5/19 at 11:03 a.m.: An earlier version of this article incorrectly implied that service animals are covered by the Fair Housing Act and follow the same accommodations process as assistance animals. Service animals are covered by the ADA, while assistance animals (including emotional support animals) are covered by the Fair Housing Act, and the accommodations processes for the two types of animals are different. It is always a huge disappointment when I hear that my alma mater is failing to help students thrive. Pets are a huge source of comfort to millions of people, so I really don’t understand why Bowdoin is so against allowing students to care for pets. If allergies are the concern, then why is there still peanut butter in Thorne? Also Mrs. Levy, a student getting good grades doesn’t mean they don’t need help in another aspect of their life. Do you think Jordan was asking for a cat to be her tutor or something? The problem with this situation and others like that is all the the training involved in having a service animal. years and still do for years to come.. There is more to this story…Does the cat perform tasks? Thanks for your response! I could not agree more with your stance of Service Animals, which are defined under the Americans with Disabilities Act (ADA) as “a dog that has been individually trained to do work or perform tasks for an individual with a disability.” Unfortunately that is not the issue in this circumstance. This article discusses Ms. Hsia’s difficulty in obtaining permission to keep an Emotional Support Animal, which is a right in the United States under the Fair Housing Act. Emotional Support Animals, defined as “an animal that provides comfort just by being with a person,” are a form of treatment for people who struggle emotionally or psychologically. In summary, I believe you may be misinformed on what the issue at hand is, and the ways different kinds of animals assist humans. If you would like to engage with this topic more deeply, I please reach out! I would be more than happy to refer you to the sources I consulted today. I could not agree more with your stance of Service Animals, which are defined under the Americans with Disabilities Act (ADA) as “a dog that has been individually trained to do work or perform tasks for an individual with a disability.” Unfortunately that is not the issue in this circumstance. This article discusses Ms. Hsia’s difficulty in obtaining permission to keep an Emotional Support Animal, which is a right in the United States under the Fair Housing Act. Emotional Support Animals, defined as “an animal that provides comfort just by being with a person,” are a form of treatment for people who struggle emotionally or psychologically. In summary, I believe you may be misinformed on what the issue at hand is, and the ways different kinds of animals assist humans. If you would like to engage with this topic more deeply, I please reach out! I would be more than happy to refer you to the sources I consulted today. Interesting article! 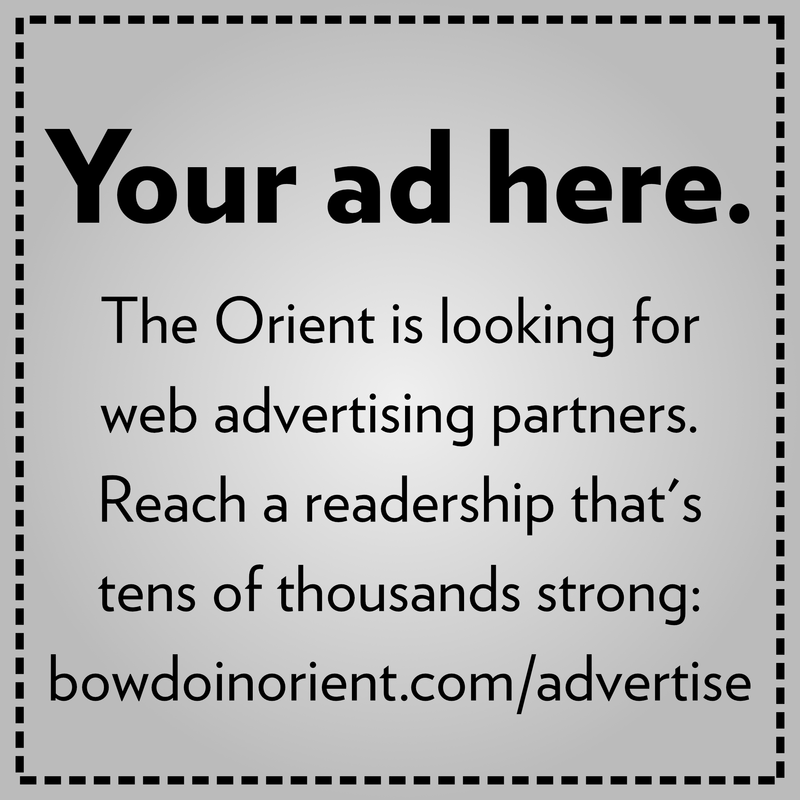 Great work by the Orient team. I know that students hate hearing this, but this really is an issue that is met with much less sympathy in “the real world” outside of Bowdoin. People in every industry that I’ve interacted with or worked in, including restaurants, food service, travel, real estate, aviation, etc. have basically lost any sympathy for people requiring emotional support animals. This isn’t because people are evil, but because dishonest people have taken advantage of emotional support animal loopholes for so long that it’s gotten ridiculous, and in the process have ruined the image of emotional support animals even though they abolutely do serve a legitimate purpose for many people, including a sibling of mine. This is especially the case with pets in air travel and people lying to get their animals into apartment complexes. I certainly understand the cage ruling from the school’s side as well; any public institution simply can’t take the legal risk of a bite or other accident impacting another student, and with idiots across the country taking their fake “emotional support animals” into inappropriate spaces, this has been a repeated issue. To add to that, almost every single issue that I have seen arise from emotional support animals have been the result of untrained or improperly trained dogs. With this in mind I feel especially bad for the student in this particular case, as an emotional support cat, legitimate or not*, does not pose nearly the same risk to property or other students as an emotional support dog. But alas it appears that the school’s policies and most emotional support animal policies do not really offer this level of nuance. *To be clear, I do not mean to suggest that the student in this particular case is trying to do anything honest. Based on the information that we have here, the student appears to have a legitimate need.